If you decide to extend your stay in Nantes there are some nice camp grounds and walking trails around Nantes to encourage you. 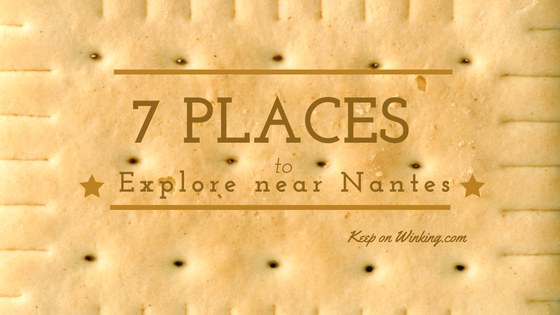 With a little bit more time on your hand, you might want to consider a few places outside of Nantes. Le Pallet Oh if only there was a wine museum…and there is! If you are a wine enthusiast, what could be better than pairing up wine with a local castle? The Nantes Vineyard Museum offers you the opportunity to see the area in a different way. From the viewpoint of the regional vineyards and winemakers you can see how the process evolved. The gift shop has regional wines and travel trinkets for you to take home. A free sample of local wine or grape juice is provided with your tour… yum! You will find a network of 40 cellars open to visitors in this area. The museum has more information on that and the small wine village of “Pe de Sevre“. Chateau Clisson is 10 minutes away and is was not only a strategic castle in defending the borders of Brittany, but an example of the turn of the century defense system. It’s part of the Lorie-Atlantic art and archaeological network, so you can find more on Clisson, Dobree, and Chateaubriant on their website. Chateau de Goulaine is where the tasty biscuits are! Finally, The official history of the famous “Petit Beurre” biscuits is available here! There is of course a gift shop and there is a tea room to sample other delights because it’s not all about biscuits. As it is a fortress which was built to defend against the invading Normans, the second tour showcases the history of the Goulaine family. You can support the preservation of the history and the arts by dressing up your children in historical costumes for a small fee. It’s in a Loire valley castle, 20 minutes away from the center of Nantes. Take a look at their visit Goulaine website to see if they are open before you head out. Guenrouët is one of several towns in the area that actively encourages camping, hiking, cycling, and kayaking. It also has several lovely churches you can visit. While here head to Kérisac’s House of Cider to experience the range of south Brittany’s and Loire-Atlantique’s favorite cider! Don’t forget to stop by the Chococave. The entrance to the shop has several sweet selections and a good choice of teas, but it’s the selection of wines in the next room that we like to rave about. Our favorite here was a rose Pineau des Charentes that reminded us of cherries! Want to see more? Continue your Breton journey to Dinan.